New employees productive faster. Formal onboarding process. Mitigate legal risks with a formal contract review and approval process. Renew contracts on time, before expiration. Flawless setup of new customers. From Finance to Delivery everyone aligned. Day to day operations simple and efficient. Automate administrative processes starting with general registry to correspondence and inventory management. Transition from separate field notes and reports to complete RFI workflows that make it easier to share and get information. With RFI workflows, accurate and up to date information becomes immediately available. Connect your finance department to all the relevant processes. Create comprehensive RFP processes and ensure that you receive the best services for a fair price. Faster order processing for increased revenue and improved customer retention. Digital Processes. Performance tuning for your organization. Dynamic DOX enables organizations to implement efficient and transparent digital processes and transition from ad-hoc and unstructured processes like paper or email “processes”. Dynamic DOX empowers Humans to be more productive by focusing on What needs to be done, while the How is handled by the Machine that takes care of the all the process details and business rules. 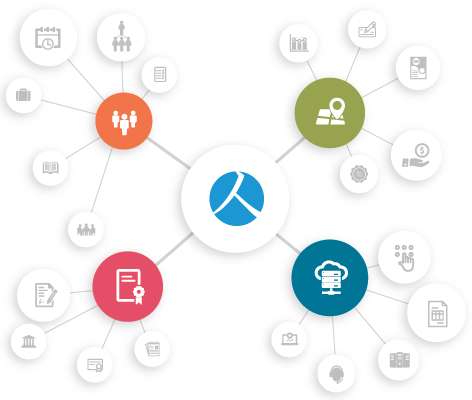 From simple holiday requests to complex acquisitions that span multiple departments, Dynamic DOX can improve the efficiency of any department in your organization. Organizations are made by people. Dynamic DOX embraces this fundamental principle and it is Designed for Humans. Designed for Humans means that everything is designed to be as simple as possible to use and learn with no detail left to chance. A platform that was designed to simplify work and life while providing structure and hiding the technical complexities from its users. The main benefit delivered is performance for your organization through efficient processes. With Dynamic DOX processes will be completed in considerably less time. Fast initiation without the need to worry about procedural details. Less time spent “pushing” for things to happen. No time wasted for “lost in the system” issues. Dynamic DOX uses familiar user interface patterns and popular tools in order to be immediately familiar to users. The only tool needed to access the platform is a standard web browser. Know at all times everything there is to know about all requests. The status of your requests, who is the next approver in the chain, for how long is the request waiting for a decision and much more. Every detail about any flow is stored in an easily accessible format. All relevant events are audited and data can be versioned in order to improve traceability and accountability. A standard web browser is all the users will need to access the information. Information is immediately available and depending on deployment choices it can also be accessible on mobile devices and remotely outside the organization network. Dynamic DOX automatically measures vital process information and provides dedicated reports that enables process owners to easily spot inefficiencies and improve the process. Business changes can be accommodated easily. The visual tools and designers used to configure the flows and forms make the platform highly adaptable. You will no longer wait for months in a row to adapt your software to the realities of the business. You can start using Dynamic DOX for just one or several critical flows and then extend it and implement other flows used in the company. Easily integrate Dynamic DOX with existing systems to cover more areas and get the best results. The platform can be customized to accommodate even the most particular needs. Dynamic DOX uses visual tools for creation or modification of workflows, electronic forms and business rules, considerably reducing the time needed for implementation. In order to run Dynamic DOX®, all users need is a standard web browser. The server side of the platform is built using familiar Microsoft technology for easy integration with other systems. Make sure that your corporate policy is met at all levels. Use the built-in auditing functions of Dynamic DOX to track each entry from initiation to closing and mitigate the legal risk associated with your activity. Weather it is your quality assurance, security or other departments, Dynamic DOX can help you improve compliance across the board. Because you will no longer have “paper processes”, Dynamic DOX® can help your company reduce its footprint. No more paper, no more waste! Essensys Software © 2018 All rights reserved.